>Salmon, Peas, and Blueberries, Oh, My! >I have to admit it. Even though I don’t want to, I love Mariah Carey’s “All I Want for Christmas is You.” I can’t help myself from singing along when it pops up on my Pandora at work or in the car on the drive home. I hate you, Mariah Carey. But I love you, too. It definitely feels like Christmas in Washington. Oooh! That’s another thing I really, really hate. The song “Christmas in the Northwest.” If that song were a person I’d give it a knuckle sandwich. Anyway, as I was saying, it definitely feels like Christmas in Washington. Dark, dreary, and wet. That makes for one unhappy puppy because walks are few and far between these days. I need to put on my big girl pants and just deal with it, but sometimes all I want to do is snuggle up on the couch with a cup of tea. 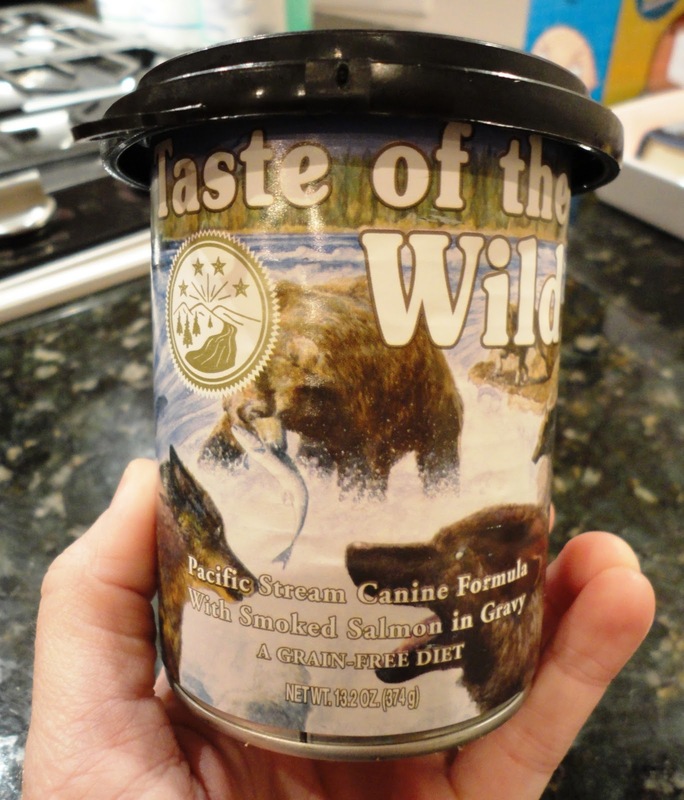 Tonight we’re talking ’bout Taste of the Wild’s Pacific Stream Canine Formula. I purchased this canned food on my epic trip to Pet Country a month or so ago. It was somewhere around $2.99 for a 13.2 oz can. Although TLB has some issues with switching his dry food, he’s never had a problem with the one to three scoops of various wet foods that I’ve mixed in with his Natural Balance. 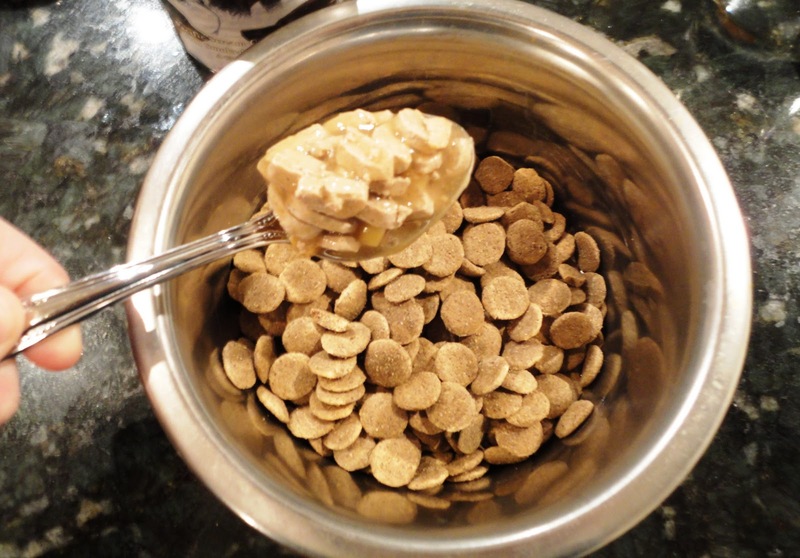 I think that mixing wet foods, vegetables, fish oils, and other healthy yummies in your dog’s everyday dry food is a great way to mix things up. It keeps things exciting! You don’t eat the same thing every day, do you? It doesn’t have to break the bank, either. My mom makes a rice, vegetable, and beef mixture for my parent’s dog, and it’s pretty cheap and easy! Remember the pumpkin post? That can of pumpkin cost $1.99! Just make sure that whatever you use has minimal ingredients and is good for your dog. That’s kind of hard to read, so here you go. You can actually see the peas and potatoes in this mixture! Can you spot a pea? There’s a little one in the right upper corner. TLB obviously loves this stuff since the can is pretty much empty! Not only does it have peas, potatoes, salmon, and tomatoes, it has blueberries and raspberries, too! Maybe a few scoops of this is like a dog’s daily dose of fruits and vegetables. After I’ve filled Teton’s bowl with his dry food (one cup of Natural Balance), I plop two scoops (three if I’m feeling generous and TLB seems extra hungry) of Taste of the Wild’s PSCF into the bowl. Next, I run a little water over the wet food and mix it all up! Did you know that mixing a bit of water (warm is preferable) in with your dog’s food will make the aroma stronger, thus making your dog more interested? 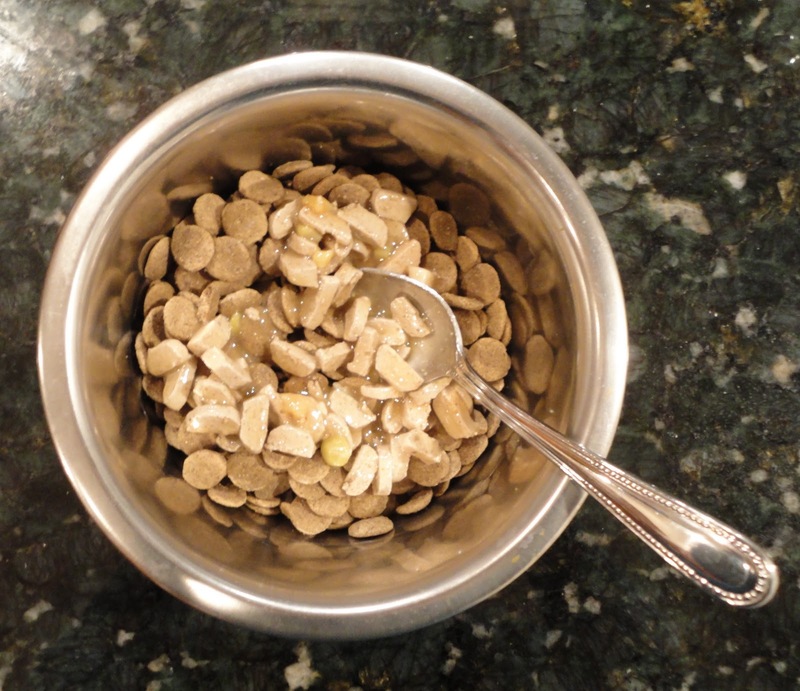 This can be particularly helpful if you have a dog that isn’t eating well. TLB really likes Taste of the Wild’s PSCF. I like it, too. 1. It’s not crazy expensive. 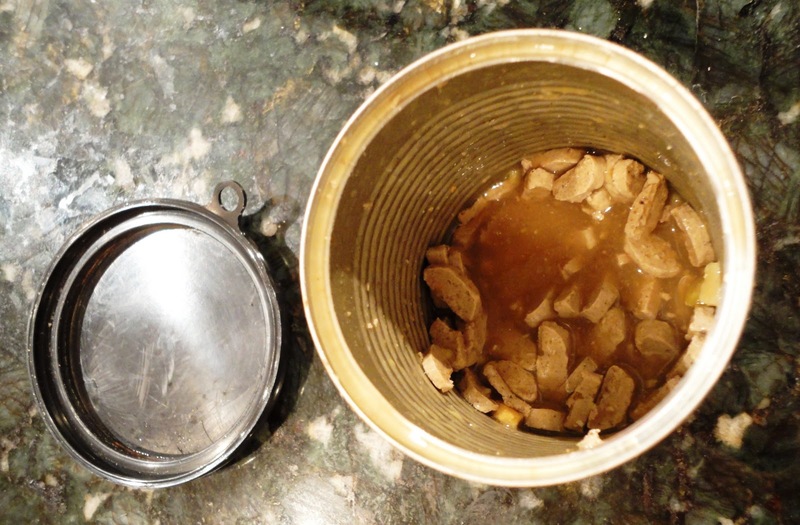 Most canned food is between two and three dollars, but some do run a bit more. 2. It’s got a great ingredient list. Salmon, peas, and blueberries, oh, my! 3. I love that the meat and other ingredients are chopped up into small pieces. This makes the can last longer (more substance to one scoop than other brands equals less scoops needed) and allows it to blend better with the dry food. I don’t have anything to write under a “What We Don’t Like” category so I’m not even gonna go there! TLB and I give Taste of the Wild’s Pacific Stream Canine Formula an eight out of 10. This is definitely being added to our “Must Haves” list! What is your least favorite Christmas song? Posted on December 14, 2010 May 14, 2011 by Shannon	This entry was posted in This 'N' That. Bookmark the permalink.